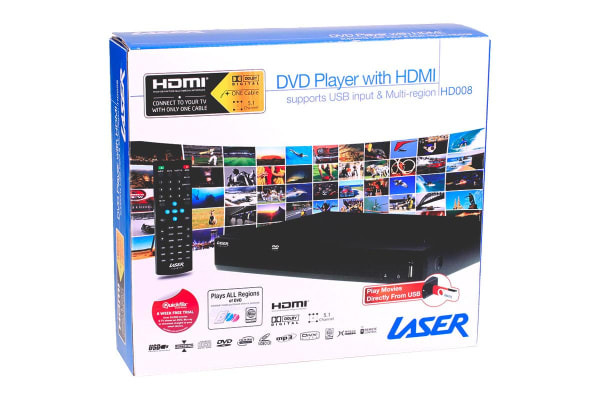 Watch a variety of movies, no matter the region code, with this Laser DVD Player with HDMI, Composite & USB. Multi region. 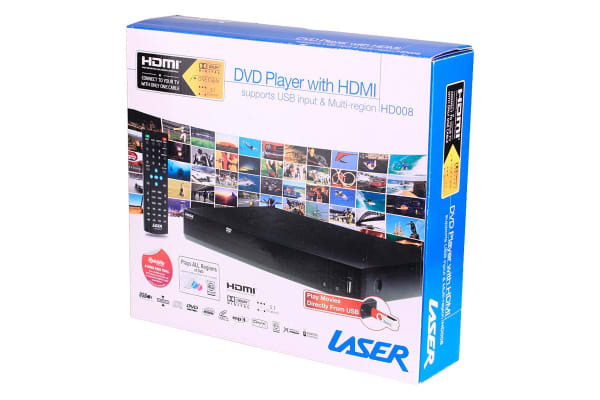 Compatible with a HD TV and a Home Theatre system, the Laser DVD Player with HDMI, Composite & USB. Multi region allows you to watch movies from all over the world in great quality without the hassle of region codes. The DVD player also provides standard definition and 2 channel audio for those without HDMI. small easy to setup and operate, and good value for money , very cheap, great. Worked perfectly an is what I wanted.